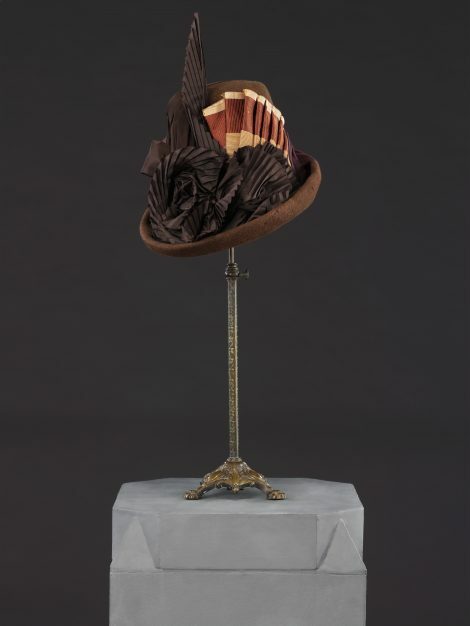 Label ‘Muriel & Cie. 198 Regent St. London W.
The bonnet was an alternative form of outdoor headwear to the postillion hat (see Related Item) during the mid 1880s. 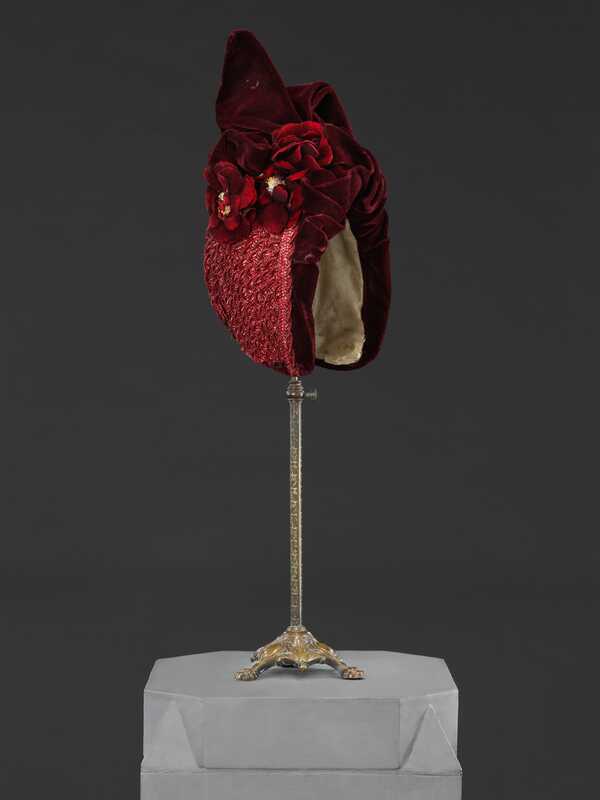 This example is made of coarse fancy straw trimmed with velvet in a rich, jewel like colour to conform to fashionable taste. 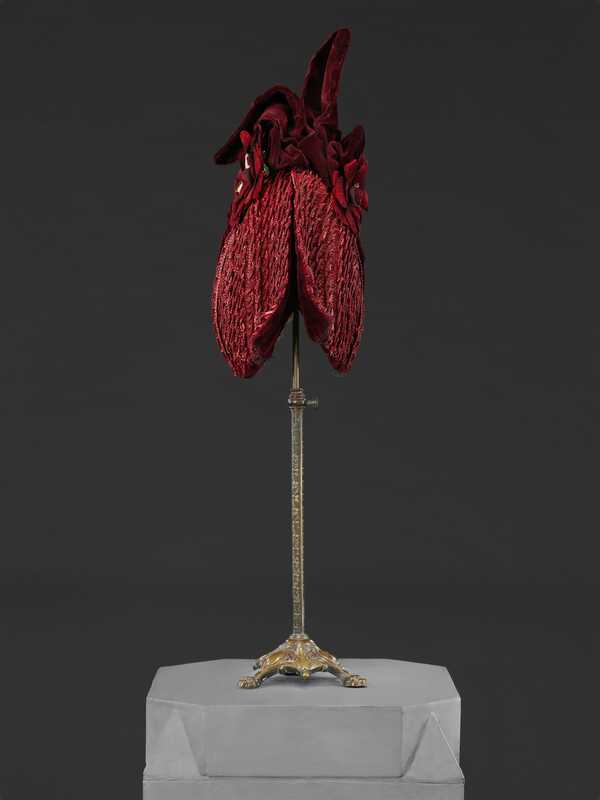 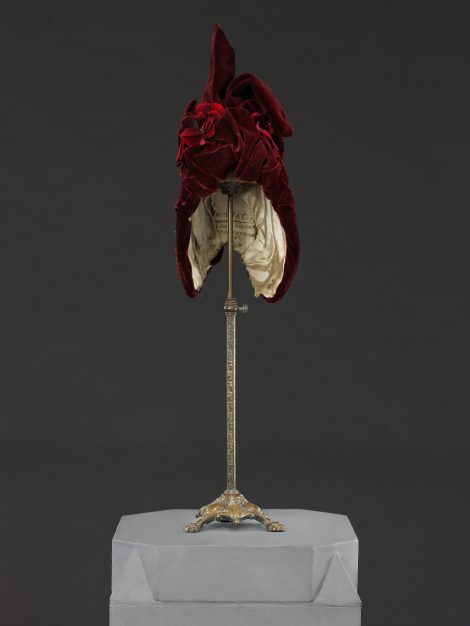 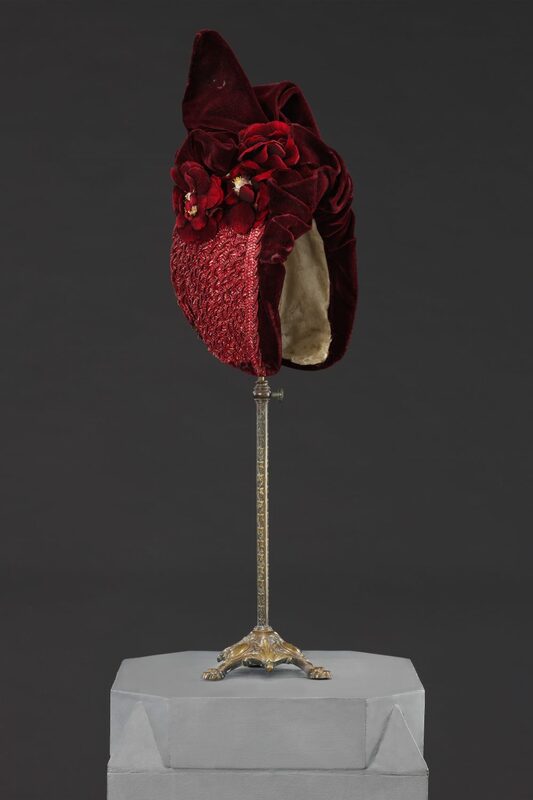 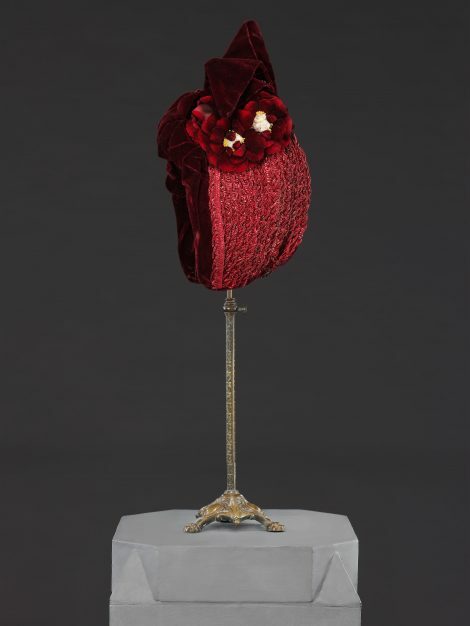 Like the hat, its emphasis is upon verticality, with a narrow front opening and back, and velvet and floral trimmings concentrated at the top where two pointed triangular ‘fins’ point upwards to the sky. Although bonnets were generally defined as having tie fastenings, this bonnet has either lost them or followed a brief contemporary practice of dispensing with them altogether.